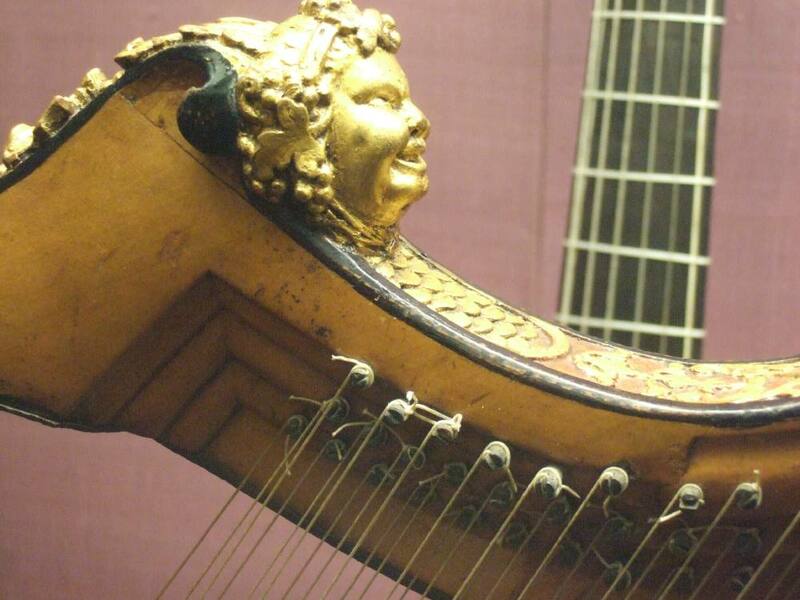 This harp bears a label inside: "David Evans Instrument Maker in Rose Court near Rose Street Covent Garden London 1736". It is very well made and elegant and is lavishly decorated with gilding. It is not completely triple strung, that is to say there are some strings 'missing' from the complete triple configuration (i.e. there are no fittings for these strings, they represent gaps in a theoretical full triple complement). In the treble there is one string missing from the player's right hand row, and in the bass there are 10 strings missing from the left hand row and 5 from the centre row. 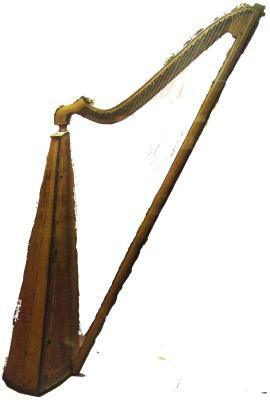 This right-hand bass setup combined with the tuning pins being inserted from the left side of the neck make this harp a completely left orientation instrument. This is confirmed by wear marks on the soundboard decoration where the players left hand rested higher than their right hand.